On the 29th of October, 2016, our Female CSGO team will be competing at ESWC 2016 Paris Games Week in the female Counter-Strike: Global Offensive tournament. They were one of six invited teams, along with Team-LDLC, Millenium, Team Secret, North American’s CLG Red, and Brazil’s More Than You. This will be the 3rd time Reason Gaming’s female CS:GO team has made it to ESWC, albeit in a strange even year gap. In 2012, the European team took 3rd place. In 2014, the French roster won the French qualifier along with the title “Champions of France”, then proceeded to take 4th place in the main event. 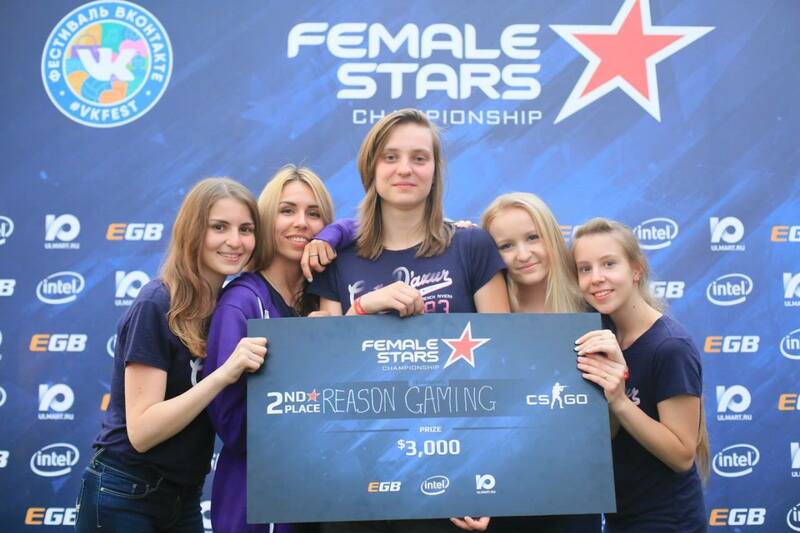 And now, in 2016, the Russian female squad will be competing again since their second place finish at SLTV Female Stars, which can be read about here. More information on the invitation to ESWC 2016 can be read on their website, along with information about the qualifiers and other invited teams being available on their home page. Craig Louis Darnell liked this on Facebook. Vicky Aşkım liked this on Facebook. Cátia Lages liked this on Facebook. Kamil Celka liked this on Facebook. Sharon DiSauron liked this on Facebook. Joakim Ädel liked this on Facebook.